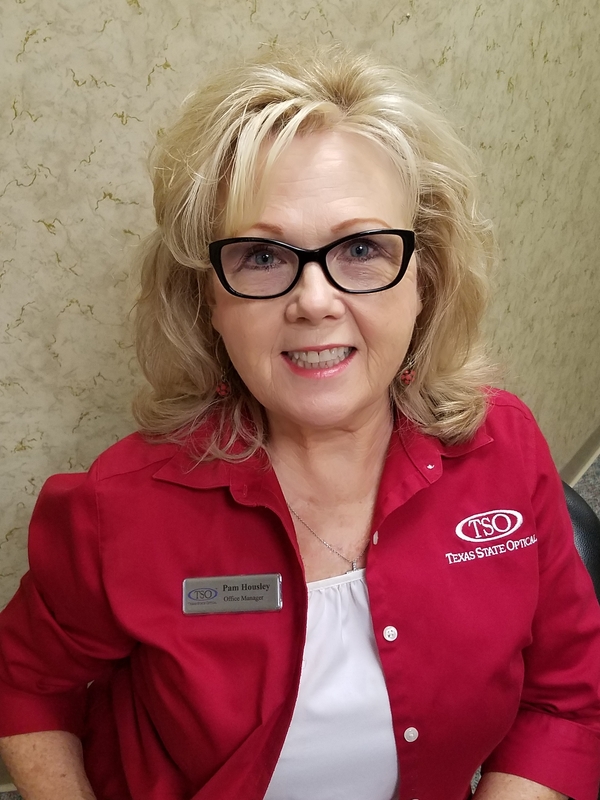 Pam Housley, certified by the American Board of Opticians since 1989, began her career with Texas State Optical in 1977. As the practice manager, she continues her passion to uphold TSO’s commitment to excellence. Her dedication to providing our patients with the best products and services is unsurpassed. Recognized as a leader in the industry, Pam has served on various committees with Texas State Optical. As a member of the Operations Committee, she contributed to the development of practice management and training programs. She works diligently to ensure all patients experience ‘Five Star’ vision care.